Welcome to the Christmas Decorate Your Mantel Series hosted by My Life From Home. If you are new here, thanks for stopping by. If you’ve visited before you know I love to decorate mantels and tablescapes! 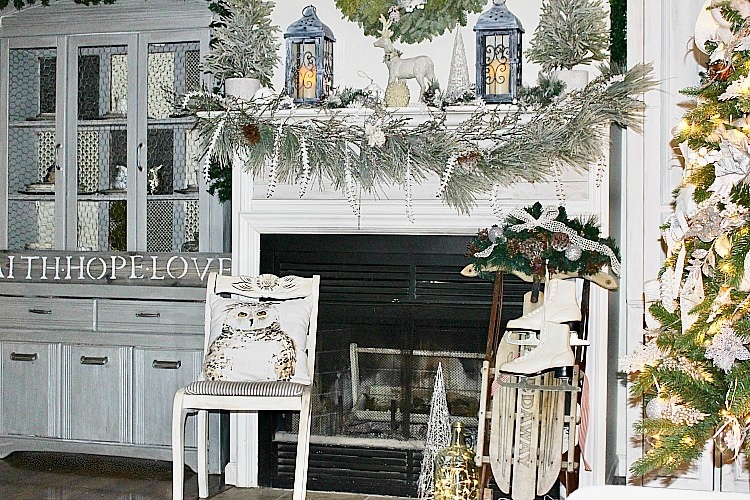 Of course I like to decorate all things but mantels and tablescapes are my favorite! 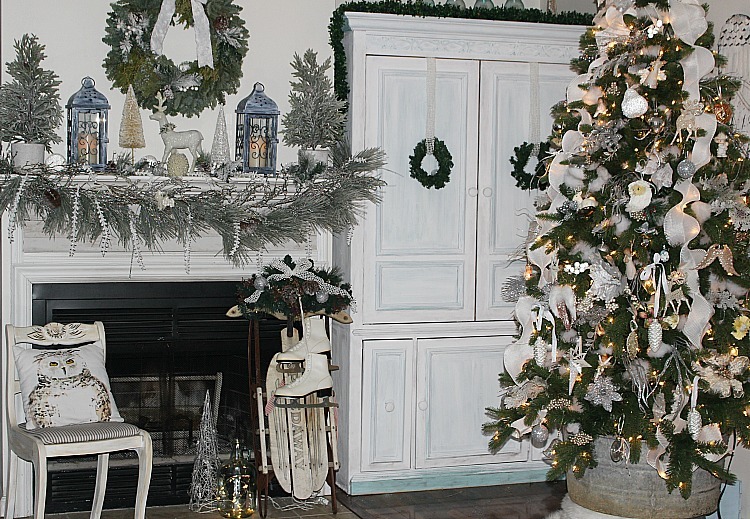 In my recent Christmas Home Tour I shared my Christmas Mantel and today I wanted to give you 5 tips for decorating a Christmas mantel. 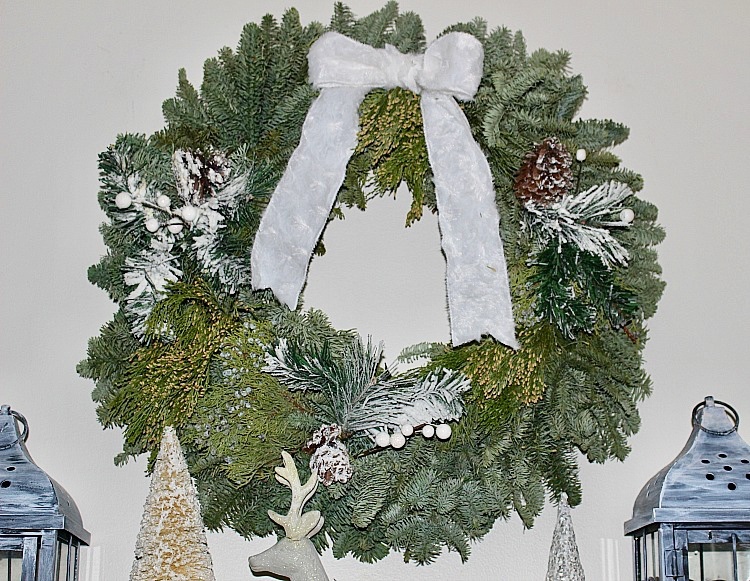 First Of all, these tips can be used in any mantel decorating, not just Christmas. You can use this same process for all Seasons. This is basically your starting off point and needs to be a large statement piece to anchor the mantel. For my anchor I chose a large Christmas Wreath. You can also use a mirror or art work. Choose tall objects to add visual weight to each side of your anchor piece. I love symmetry, so I tend to use a pair of tall candle holders or vases for each end. In this Mantel I used small trees and lanterns. The pieces on both end don’t have to be exact, but they should be similar in height and style. The empty space of the mantel can be filled in with small items. Try to stagger height of the pieces and bring in texture. Stacks of books and candles are popular. In this Mantel I staggered smaller cone trees and a reindeer plus Flocked Christmas garland and picks for texture and dimension. You see the bottle brush tree on this end is different than the cone tree on the opposite end, but they are of similar shape, size and color so they work. The white deer ties it all in. Something I learned many years ago in a design class was you want to create a natural path for the eye to follow. The anchor draws you in while the weight and filler items create a triangular flow. I’m sure you have heard of the Rules of 3. Basically decorating in groups of 3 or 5 is better than 2 or 4. Always go with odd numbers in groupings. This makes the arrangement pleasing to the eye. If you look in the above photo, the anchor is the wreath, I have staggered the height of the 3 end pieces from the tall tree to the shorter lantern to the smaller tree in 3 groups at each end. The filler is the deer and garland. It helps to have a “jumping off point” when you begin to decorate your mantel. For example my jumping off or starting point were the beautiful flocked trees I found at the Home store. Once I picked these I knew I wanted to go with a winter white theme and it all fell in place. I use this platform in all my Mantel decorating regardless of the season. Don’t forget the hearth! If you liked these tips and want to see more, subscribe to my email so you never miss a post! 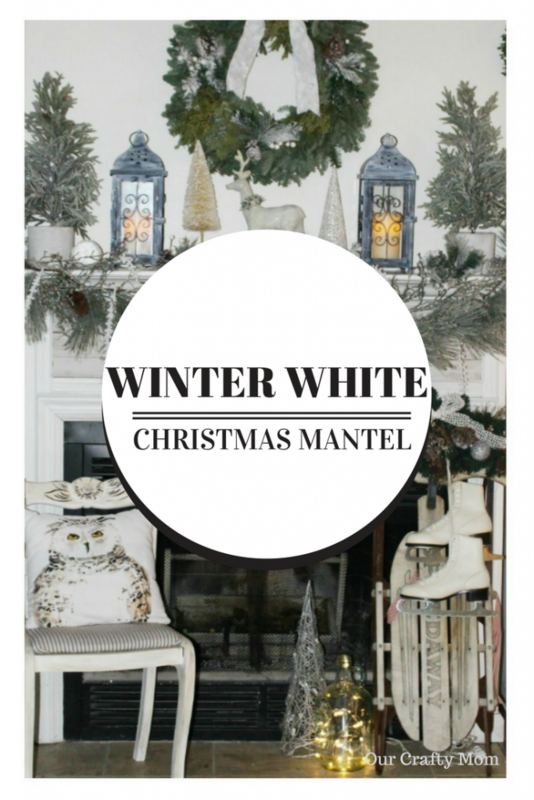 Be sure to visit the other bloggers to see their Christmas Mantels! 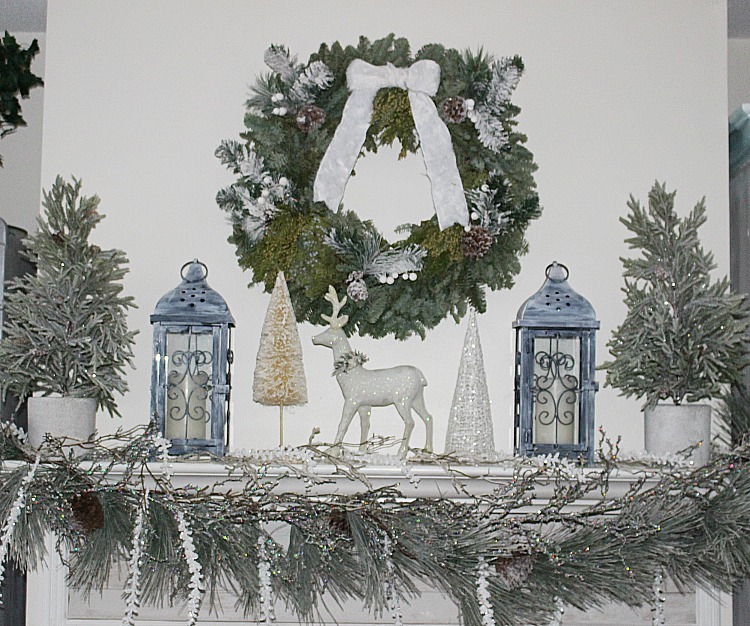 Michelle – these are all fantastic tips and the winter white mantel is beautiful! 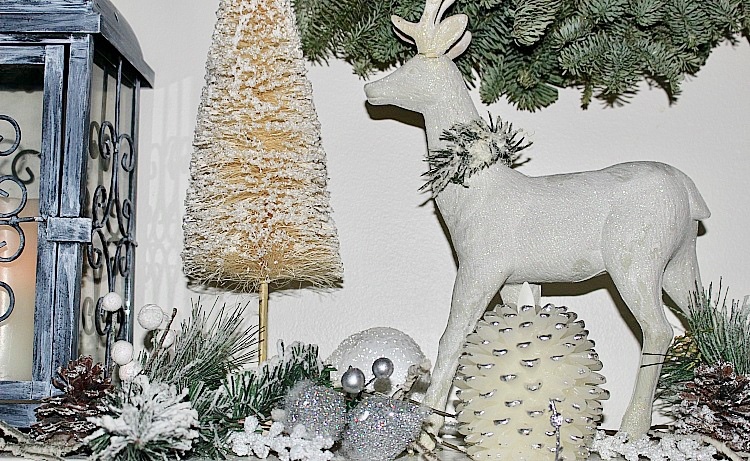 We love the white deer – it looks vintage! Such good tips! Love that sled!! Love these tips! I never know what I’m doing, so it’s good to have some actual info about how to do it!! I think I need some more weight on the left side of my mantel! Yours is beautiful, Michelle! 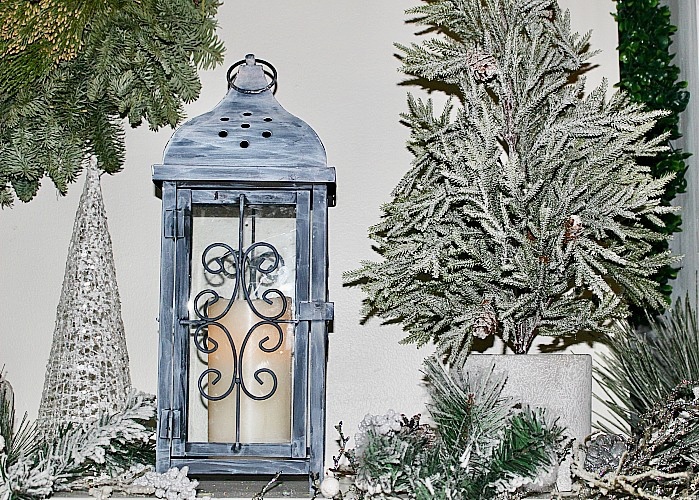 How beautiful is your winter white theme?! It is so peaceful and serene. I love how you combined all the elements and your tips are perfect! Thanks for joining this hop! Love these tips! Your mantel turned out so beautiful.